That was intense, I thought that the water girl was either going to be a dalek agent or one of those martian water creatures from the waters of mars but then it ends up being something even creepier and mind blowing. Moffat had us all looking in the wrong direction, this time in a good way. The woman said EXTERMINATE so it was a clever piece of plot misinformation. This is one very creepy, charasmatic and trippy episode. This could mean doctor who is getting it’s grove back! 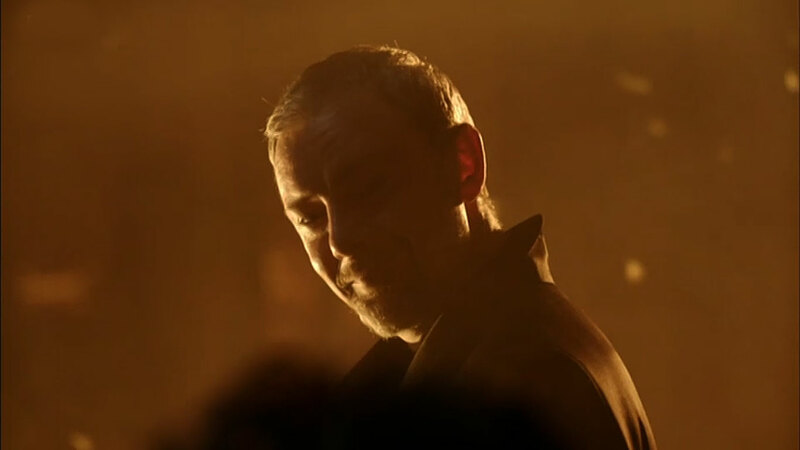 I sincerely hope that the final episode “the doctor falls” actually means just that and not ends up being as silly as the season 7 finale “the name of the doctor” which skirted round the fact and bailed on the concept. Peter was regenerating in the trailer so I think we may be getting the real deal this time. Also, I hope john simms master kills off missy; she’s too annoying and too noisy to be a master. Stop changing character genders! What (or who) is in the vault ? Is that the Doctor in the mirror in the photo of Bill’s mum ? Now that was so worth the long wait. Peter capaldi was just brilliant and I love bill. I can’t wait for the rest of the series. As I predicted, Doctor Who is BACK! This series has had great vibes since the very first teasers! He was at the end of the trailer? Wonderful television! Peter Capaldi is at his very best here and Pearl Mackie is so charming and fantastic as Bill. I am now even sadder that Capaldi is leaving so soon. It feels like we are being denied one of the very best TARDIS teams ever. Well done to everyone involved in tonight’s episode! Be very proud of yourselves!! Better without Clara, reasonable opener let’s see how it goes in the coming weeks? Brilliant! Bill and Nardole were enjoyable and the editing style was fresh and fun! Peter was of course fantastic! Overall this felt like it had a lot more time and effort put into it then some recent Stories. Yeah, it was fine to serve as a series opener to gain new audiences, felt nardole was unnecessary here though and some bits were slightly cringy. However, the rest of the series looks brilliant! Fresh, straight-forward, exciting and interesting throughout! Loved it! Just wanted it to be longer! Good performances all round! Keep it like this! It was a great episode but I found myself cringing everytime Nardole was in a scene. He has to be the worst companion ever in my opinion. It was actually really good. Loved it, really good how they did it! Back to 2005-2010 ways! I loved it! I haven’t enjoyed the show with Series 6, 7 & 9 but 10 will be an AMAZING series! That was pretty good! It felt fresh and I’m really looking forward to seeing more of the Doctor, Bill and Nardole. A step in the right direction. Hope it continues! I loved it, I haven’t enjoyed doctor who like for a long time, tiny cringes here and there at Nardole and ‘bye heather’ but it was very good overall. It was brilliant. I think the best in years from Moffat.